The importance of retail window displays can rarely be overstated. 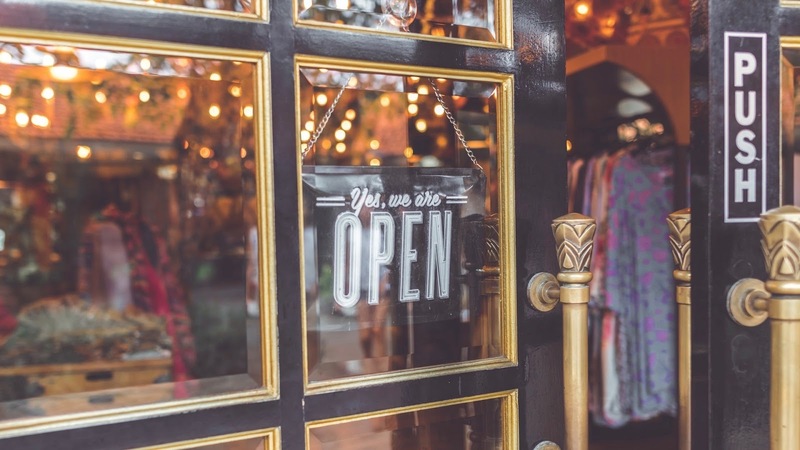 In many cases, your commercial window displays will be the first thing your prospective customer's experience of your brand, so you want to be sure you give them a good first impression. Thankfully, commercial window graphics are here to help. If you’re looking to reinvigorate your retail store design and attract more customers, then here are just a few of the ways that window graphics can make your commercial window displays stand out from the crowd and entice passersby to cross the threshold and enter into your store. When it comes to retail interiors and store design, there are few things more vital than originality. With so many stores trying to compete with each other and with their online competition, finding new and unique ways to stand out from the crowd can often be the deciding factor between success and failure. In order for a retail store to truly thrive, it needs to create a shopping experience that its competition can’t replicate. This means making an impact, and when it comes to brick-and-mortar establishments, the best way to make an impact is through the use of exciting visuals and designs. This rings especially true for storefront window displays, which are often the hook that can entice someone walking down the street to divert from their course and check out what your store has to offer. With LINTEC Digital Window Graphics, for example, you can outfit your storefront windows with clever optical illusions that add a sense of drama and style to your store’s design. Brand awareness is often the backbone of any successful business. If people don’t know about your brand, then they can’t do business with you. This is yet another reason why creating an enticing retail store design is so necessary. When you build a window display that highlights the tone and style of your brand, for example, you’ll not only catch people’s attention but you’ll also be building a reputation for your business. Commercial window graphics can serve a number of purposes, but they can be especially effective at maximizing your brand awareness. Appearances really do matter, and when you invest in your branding you’ll be better equipped with the tools to stand out from the crowd and convince shoppers to come inside. Your goal with any window graphic—or any retail design—should be to create a positive experience for the customer. Whether that involves a fun visual illusion, a graphic that cuts out exterior distractions, or a vibrant design that illustrates your brand identity, incorporating window graphics into your retail store’s design can shine a spotlight on your offerings and encourage shoppers of all sorts to step inside and see what it is you can offer them.